If you’ve been reading my blog, then you know I started a new diet at the beginning of January, on the 2nd to be exact. I am feeling great. The thought that my body hasn’t had sugar, oil or processed food is wonderful. It’s the journey I have been longing for and it’s even effecting the scale. I’ve lost a total of 17.8 pounds. One thing that I’ve noticed over my 30 years of trying to lose weight, is how much attention we give to the number that’s on the scale. If it’s not moving downwards then we get discouraged and give up. I’ve been a victim of that. I once exercised for 5 months straight, 5 times a week for one hour and didn’t see any difference in the number on the scale. I decided it wasn’t worth the effort and gave up. When the scale isn’t budging, it’s important to look at the other positive things that are happening within you. For me, although the scale is going down, I do celebrate my “non-scale” victories. For example, I have so much more energy then I had before I started eating clean. Also, last weekend my sister and I went to visit my parents in upstate New York. They live near a casino and we had plans of going to bingo a few times during our stay. We stayed on plan the whole time, no cheating from the two of us. We met my parents at bingo and my mom packed us each a salad with grilled chicken. We both packed some “approved” foods from our eating plan so we were prepared. I brought in my homemade Honey Mustard Dressing and BBQ Sauce to put on our salads. For dinner we went to the restaurant and asked what vegetables they had as a side, none of them were what we could eat. My sister asked if they had access to any asparagus and the waitress replied that the neighboring restaurant had some. She ran next door and picked us up two side orders to go with the 8oz sirloin steak that we split. Unfortunately the asparagus wasn’t very much but my sister had packed a cucumber with her and I had packed my food scale. 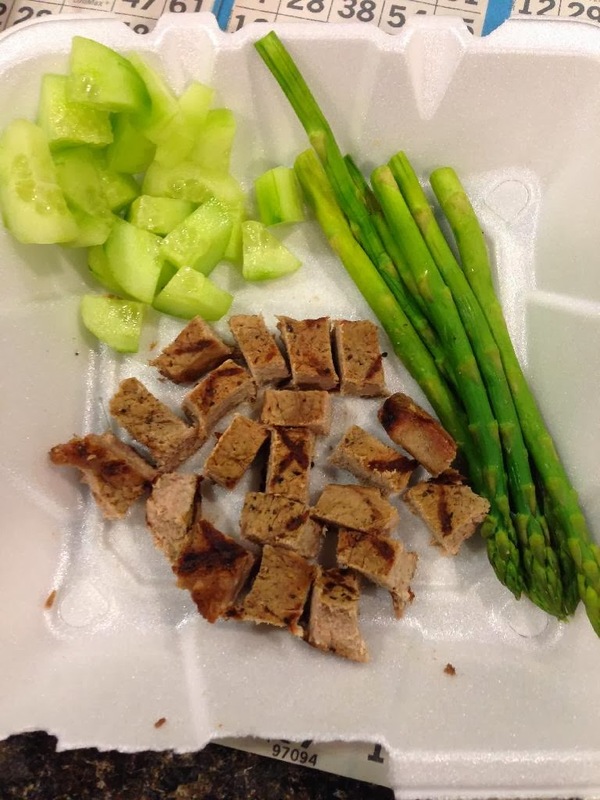 We weighed out the asparagus and supplemented with the cucumber. It felt so good to be successful by being prepared. So, two tips for today: Celebrate the Non-Scale Victories and Be Prepared. In a medium sized pan, add in your onions and celery and saute with a splash of chicken broth for about 2 minutes. 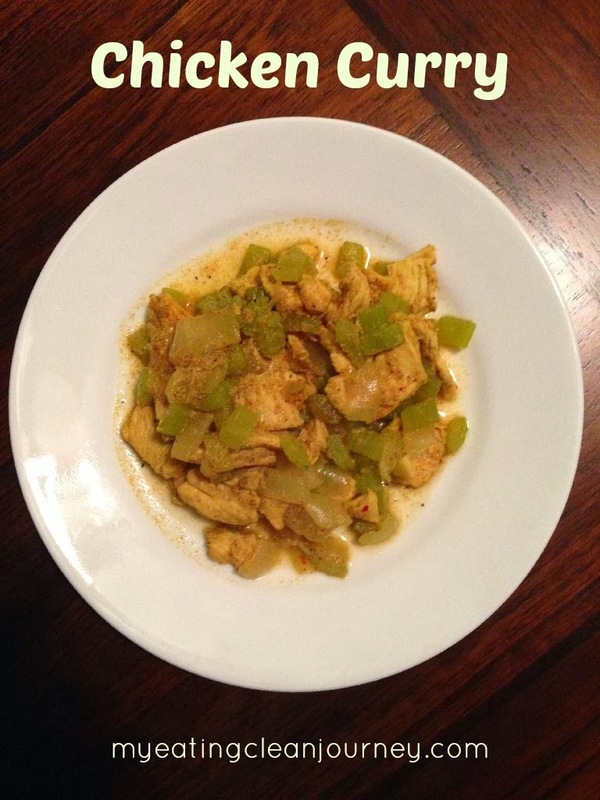 Toss your chicken pieces in the curry powder and add them to the pan. Add additional chicken broth to help cook the vegetables and keep the chicken from sticking to the pan. Cook until the vegetables are tender and the chicken is cooked throughout, about 10 minutes. Cook the hamburg in a pot with a splash of beef broth. Cook until cooked through. Add 1/2 cup of additional beef broth and add in the spinach and curry powder (to taste). 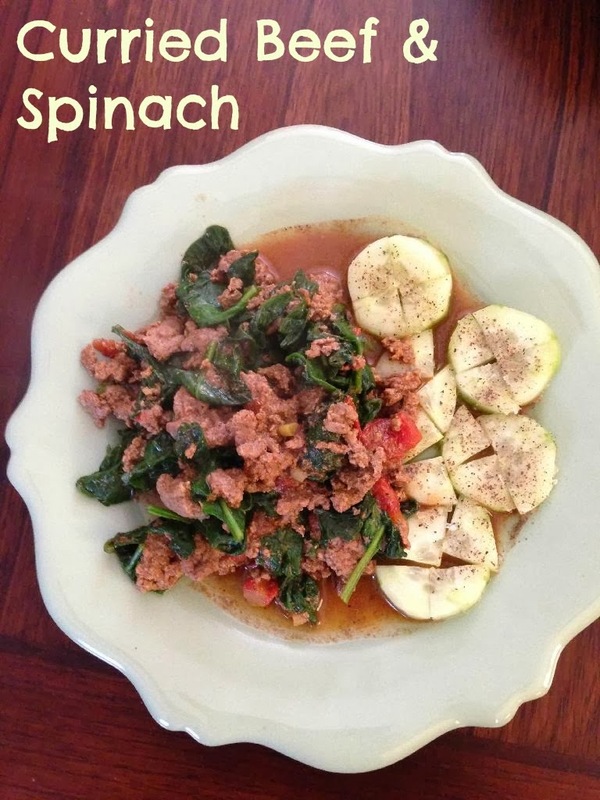 Cook for about 2-3 minutes or until the spinach is wilted. Cook chicken in a pot with a splash of water or chicken broth. 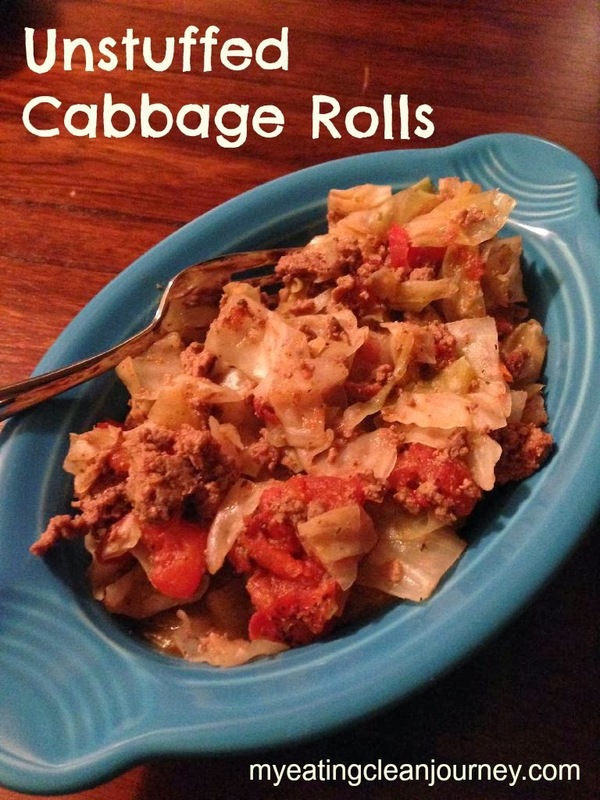 When no longer pink, add in your cabbage and a little more broth to help cook the cabbage down. 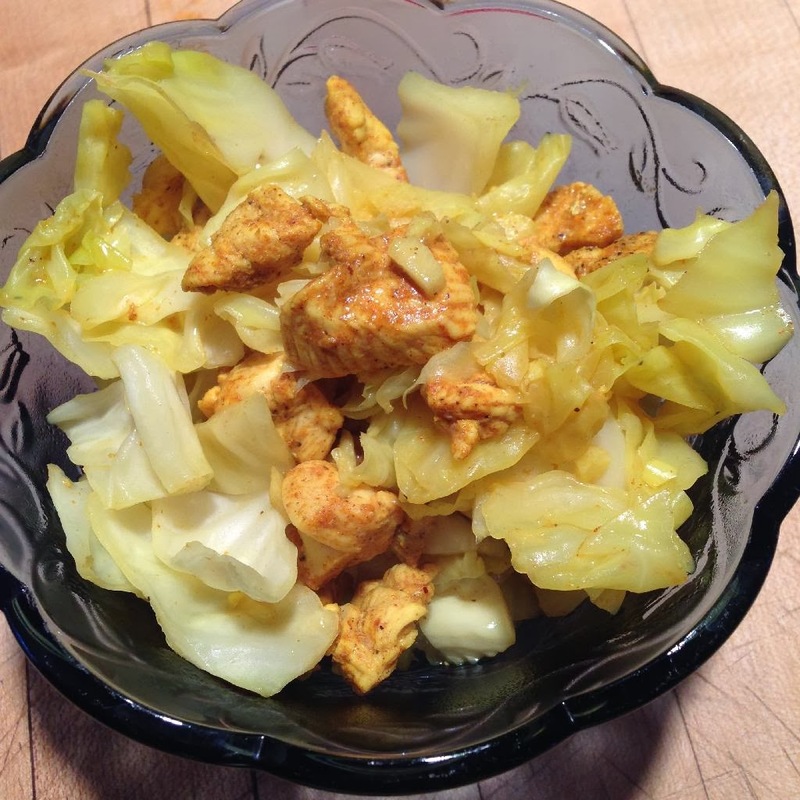 Toss in the curry powder and mix well. Add sea salt and pepper and serve. Here’s the meal we got from the restaurant at the casino. We took it to go so we could eat it during our bingo session. Line a baking sheet with aluminum foil or parchment paper, place the radishes on the baking sheet and spray with the Braggs Aminos. Dust with salt and pepper. Bake at 400 for 15-20 minutes. Keep an eye on them and check for doneness. Which one is your favorite from my menu this week? 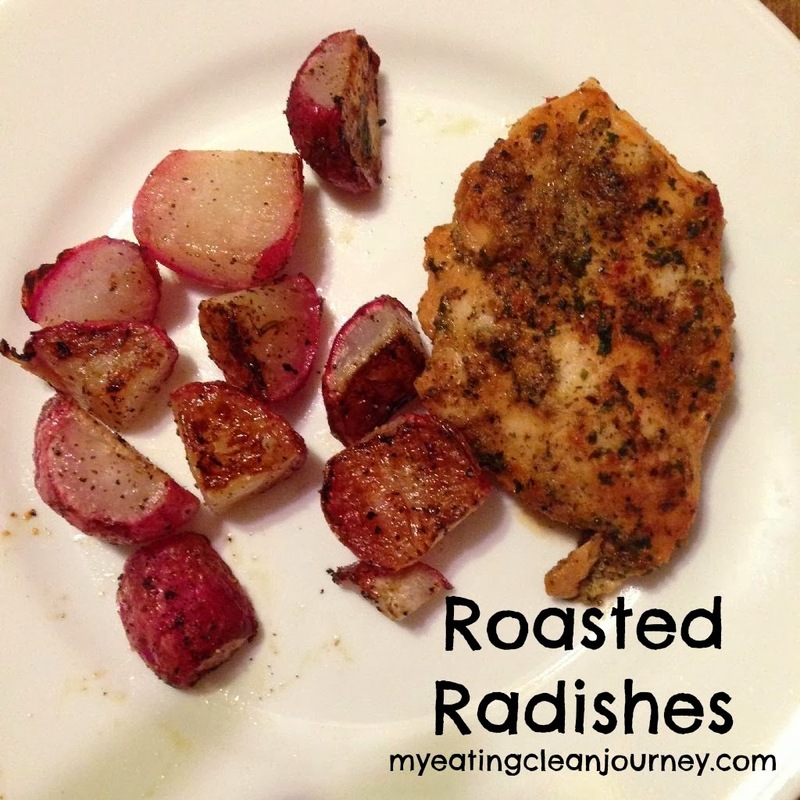 How did the roasted radishes taste? I don’t care for them raw so I’m very curious. Great job on the weightloss, but more importantly, your attitude!! 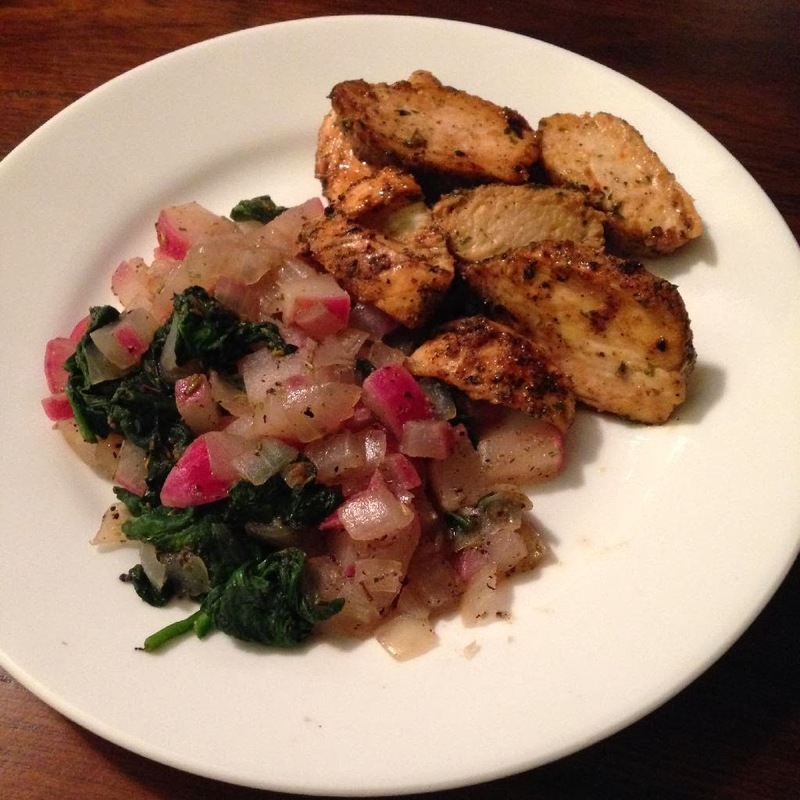 Amee, The radishes are really good when cooked. I also boil them and then mash to make mashed “potatoes”. 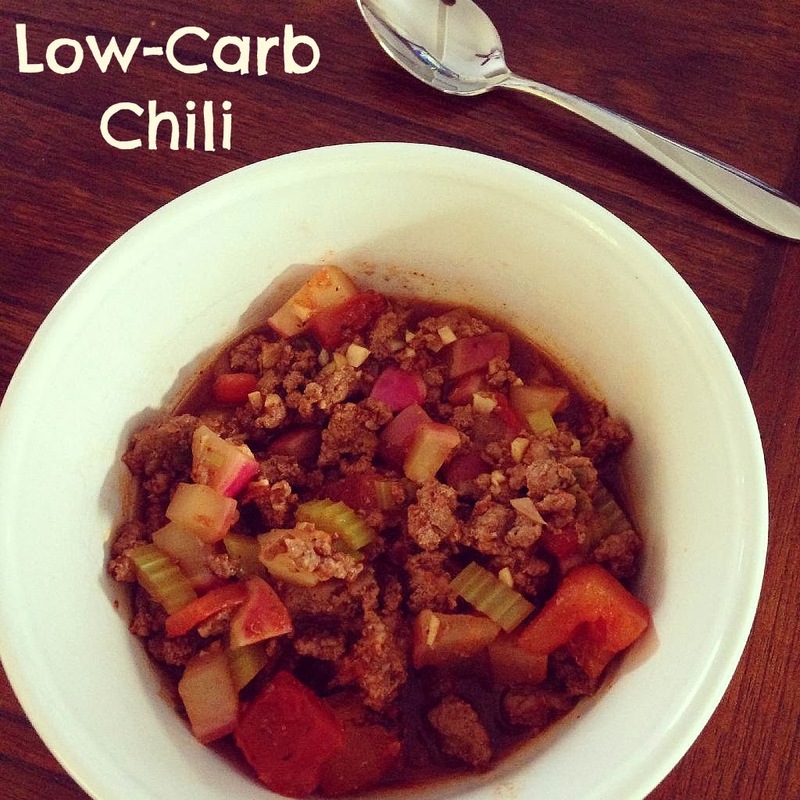 I add them to my chili in place of beans. They don’t taste anything like a raw radish (which I don’t really care for). I would highly recommend giving it a try.